The Senna is McLaren’s lightest road-legal racer since the F1, boasting the company’s most powerful road car internal combustion engine produced with aggressive styling that’ll put most cars to shame – all bearing the legend’s name. So to bear the legendary Formula 1 driver’s name on a road-legal car you know there can’t be any compromises. And it’s clear McLaren went all out with their latest rocket. Boasting 789-hp from a 4.0-litre twin-turbocharged mid-engine V8 paired to a rear-wheel-drive chassis and a dual-clutch seven-speed gearbox, the Senna is McLaren’s ultimate track car legalized for the everyday drivers with a power train that’s the most powerful McLaren road car internal combustion engine ever. 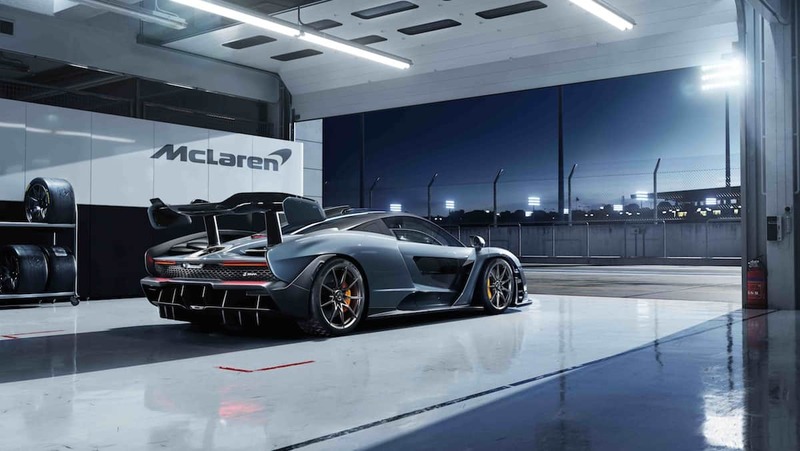 Weighting only 2,641lbs, the McLaren Senna is also the British automaker’s lightest road car offering since the iconic F1 hit the scene in the early 1990s. 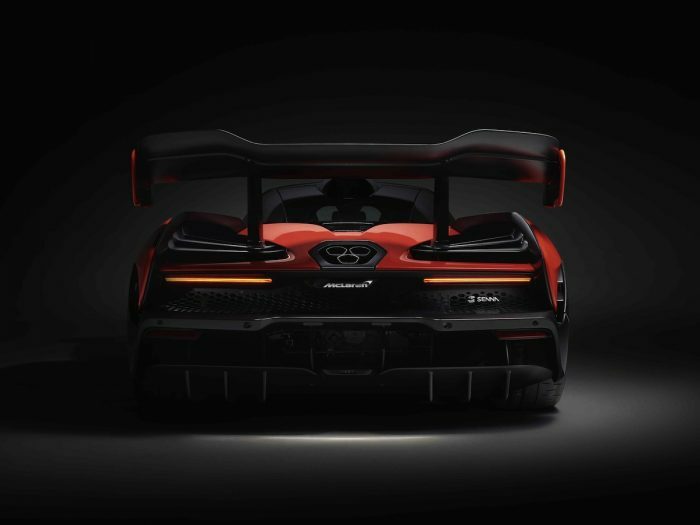 Add a healthy dose of carbon fibre — from the Monocage III chassis to every body panel — the ultra-lightweight Senna creates a crazy power-to-weight ratio of 688PS-per-tonne. The aggressive styling is unlike any road-legal car out there. 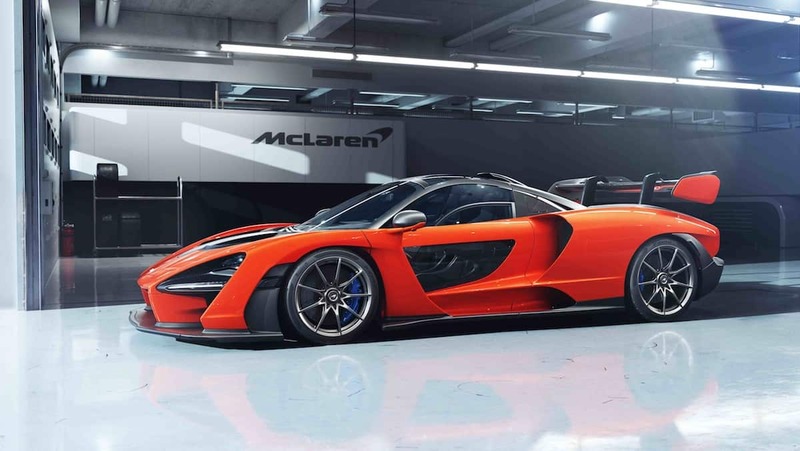 McLaren wants us to know the Senna’s “organic shapes having given way to a design language that is purposely fragmented in pursuit of absolute performance.” We just want to see look on suburban dads’ faces when this thing rolls up to the local Starbucks. Production of the McLaren Senna begins around Fall 2018 out of the company’s McLaren Production Centre in Woking, Surrey, England. But with only 500 hand-assembled units produced worldwide with a price tag of approximately US$1M (£750,000 to be exact), the chances of seeing the McLaren Senna in your rearview mirror is pretty unlikely.